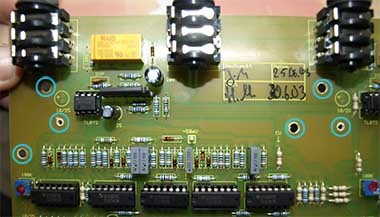 If you own like us one of the first versions of this beautiful device you might also have noticed that when you plug some balanced source (that share energy between hot and cold signals) in it you get a -6db level drop, indeed these versions of the SPL transient designer have unbalanced ins and outs. 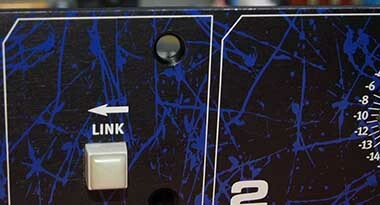 But they were kind enough to put balanced jack connectors which will make it easy for us to modify the inputs and making them balanced which will solve all of our level drop problems! 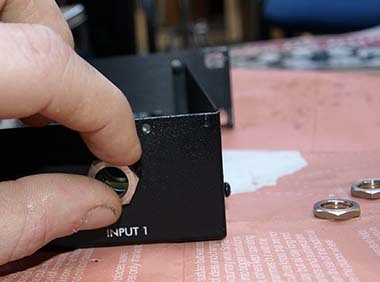 First of all you need to unscrew the top cover of the unit, then the hex nut on the in/out jacks. 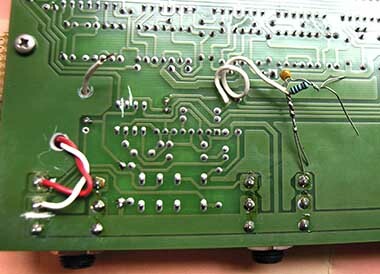 We'll have to remove the power connectors. 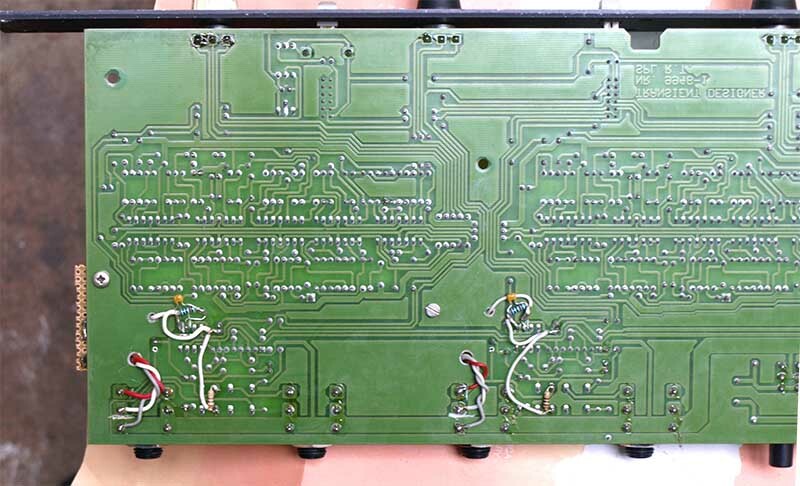 Remove the allen screws from the front panel. 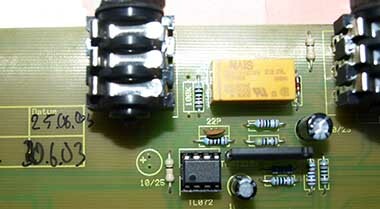 And the silver screws holding the pcb to the unit. 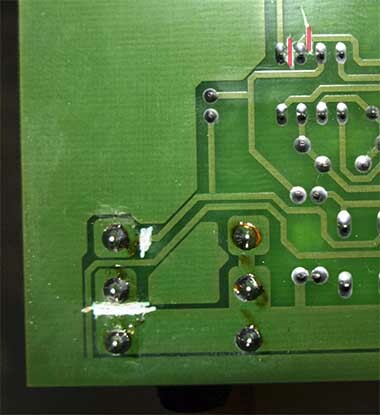 Now some traces to cut, on the input#1 jack. Then on the 1st TL072. And on the 2nd TL072. 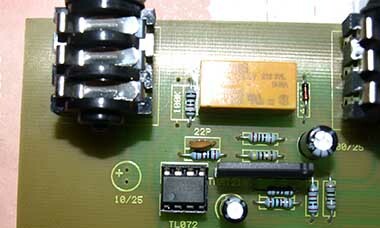 A cap and a resistor to remove on the input #1 side. 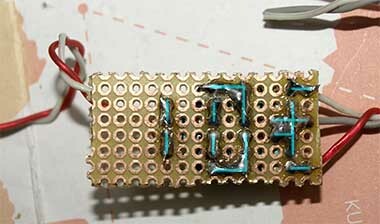 And also remove the two TL072 from their sockets and put some NE5532 instead. Still same thing on the other side. 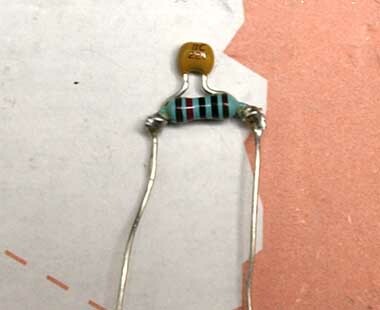 We have to solder a pair of 10k resistors with a 22p cap in parallel. 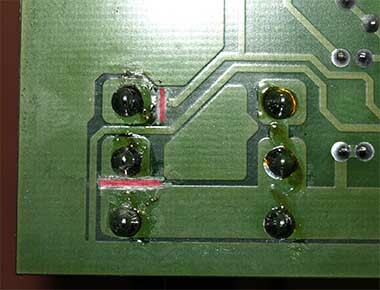 Put them at the place of the 100k resistor removed previously. 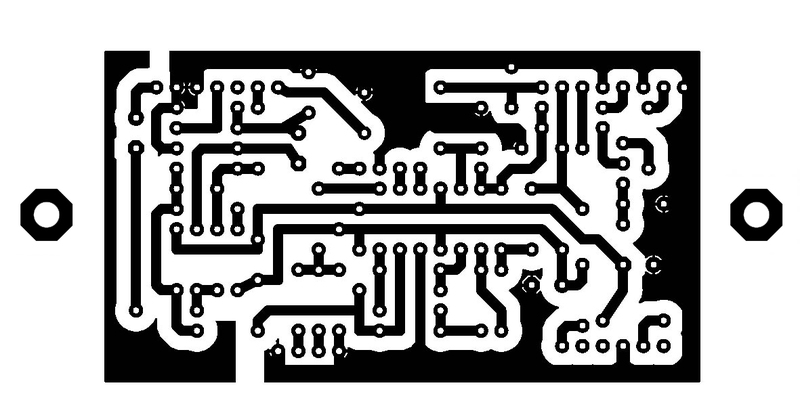 Now let's solder on a veroboard some components, a pair of 100 Ohm resistors, 100K, 10K, 100p and 47µ bipolar caps, 3 wires at one side , 2 wires at the other side. Here's how it goes the other side, with thoose 2 pics you should be able to reproduce it. 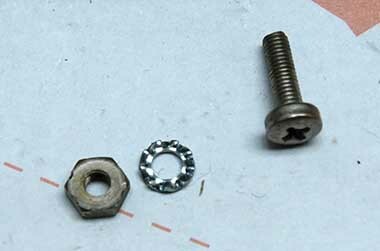 We need now a pair of M3 screws with a washer and a nut. 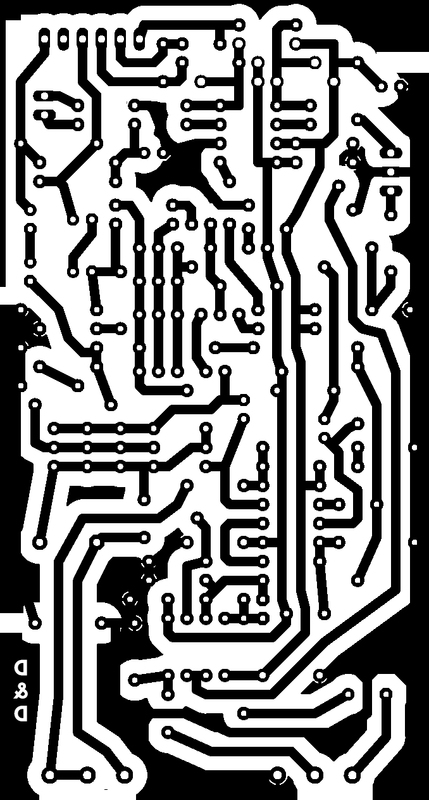 Put it in the hole you drilled which is the closest to the left side of the pcb. 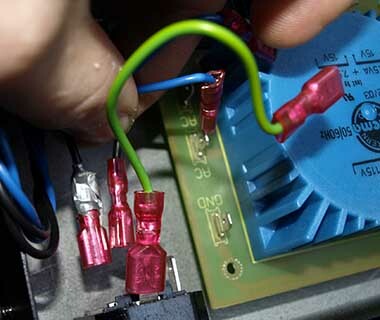 Put the 3 wires in the hole just like you see on the picture, solder the red wire on the "-" side of the cap you removed previously, and put the white wire in the remaining hole, just as on the picture. 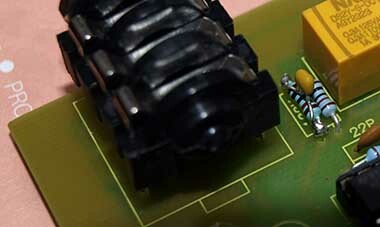 Now you can prepare another pair of 10K resistors paralleled with a 22p cap, and solder a piece of wire at one side. 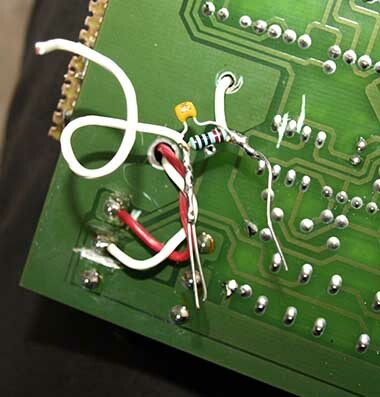 The grey wire doesn't appear on the pic, I fogot it when I took the picture, but you should have this 3rd wire and solder it on the ground, you'll see it on further pics! 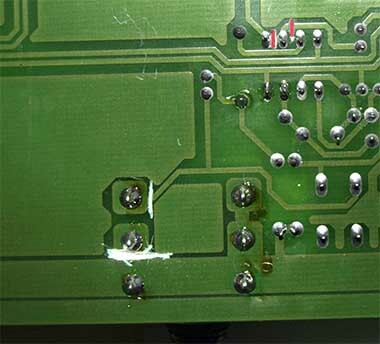 Solder the remaining side of the 10K/22p to the white wire you've put through the hole. 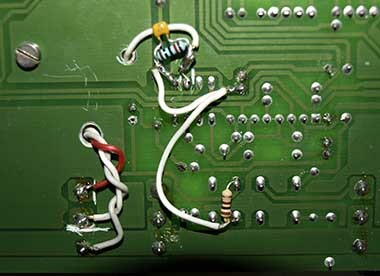 Solder the stuff at the back on the TL072 just as on this picture. 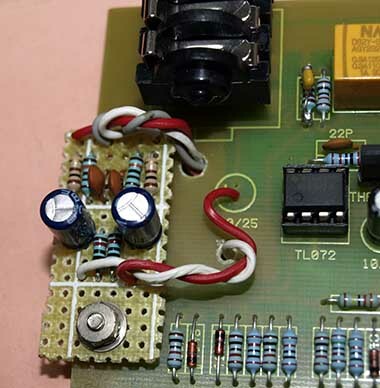 Then solder a 100 Ohm resistor across the center pins of the relay and solder a wire between this resistor and the components you have put at the back on the TL072 as you see on the picture. 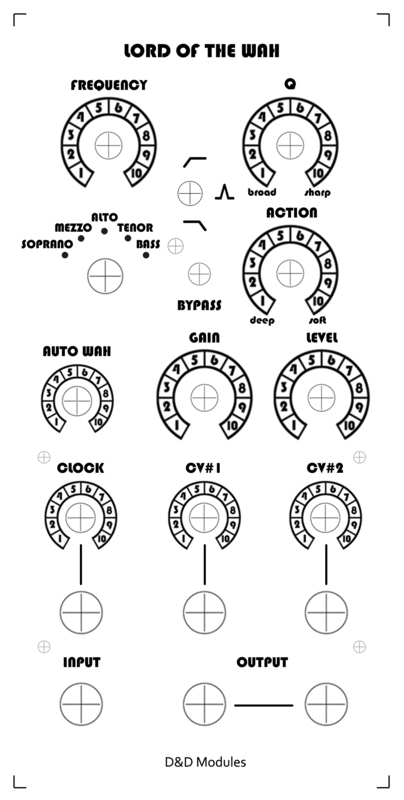 Same thing for the 2nd input's side. 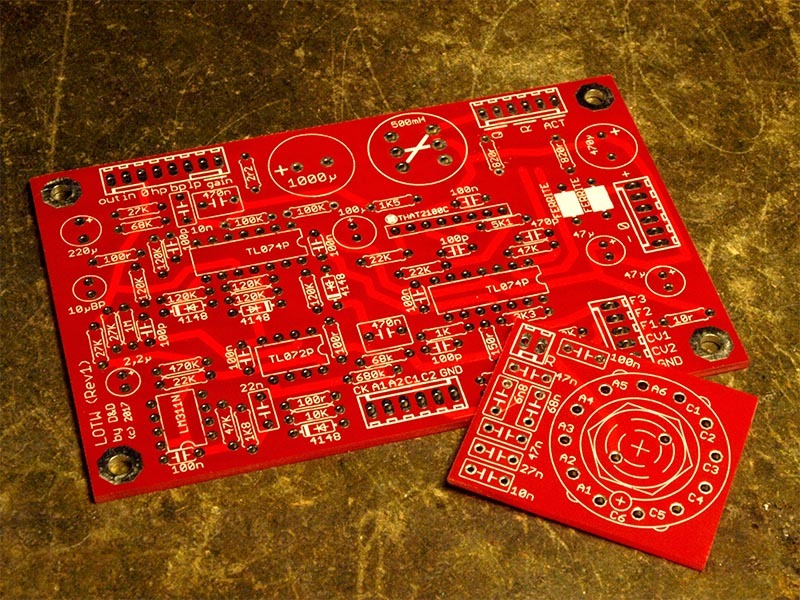 The whole stuff seen from the back of the pcb. 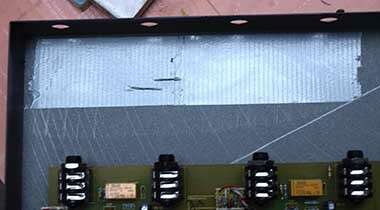 You can put a bit of tape to make sure you don't have any contact between the chassis' ground and your components, but the spacers should be high enough anyway. Here's how the whole thing should look like at the end. 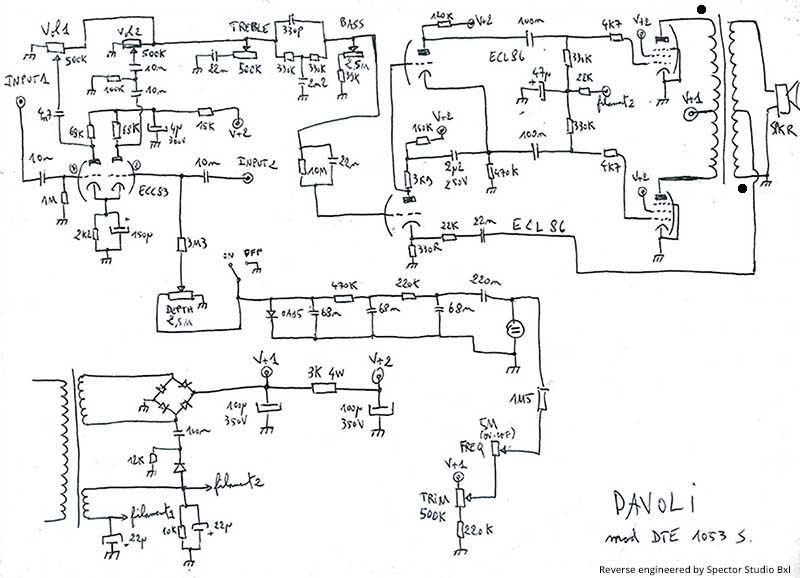 The balanced input stage comes from Douglas Self's book Small Audio Design which we highly recommend the reading of... You can choose to stay with the TL072 and not to replace them with the NE5532, then replace R9 R10 R11 and R12 by 100K resistors, you can even avoid to unsolder the 100K resistor, but it is always better for CMRR to match thoose resistors if you can. 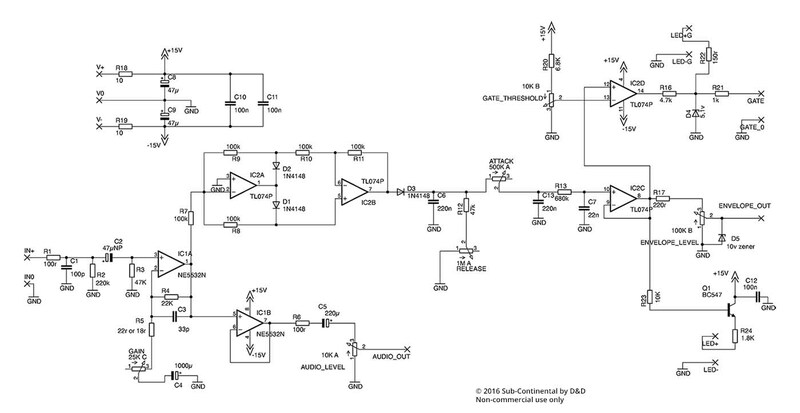 For the bypass we decided to use the output of the differential op amp without AC coupling it because the offset voltage was extremely low. 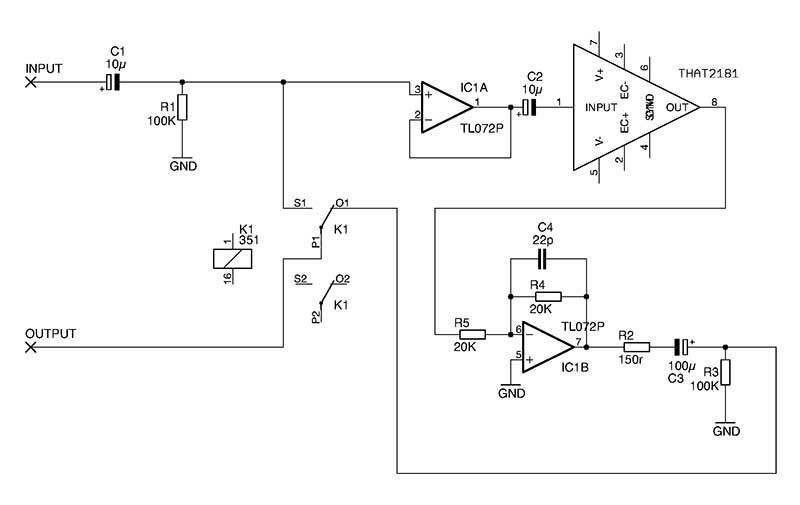 One last thing to do is to check the polarity of C2 and C3, I had to reverse some and some other not.. if you measure a postive voltage when you put the "-" side of your voltmeter on the "-" pin of the cap and the "+" side of the voltmeter on the "+" pin of the cap then the cap is in the right direction, if the voltage is negative then you have to solder the cap in the opposite direction. 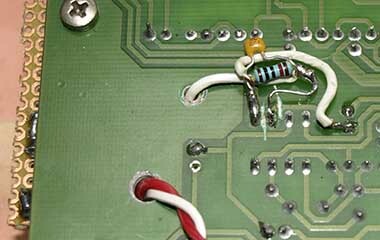 It looks like there are no bypass capacitors on the supply pins of the op amps, it could be interesting to measure with an oscilloscope if we have some HF psu noise and if some bypass caps would reduce it, but I didn't do it. This is a beautiful tube guitar amplifier from the 60s, we had the amplifier head without the cabinet, so we put it in an old Carvin combo (SX-100, I think...) which head was wasted, the Carvin combo had a good speaker and the combination of the two is very sweet, it reminds a lot of like Creedance Clearwater Revival guitar sound and the tremolo is amazing! 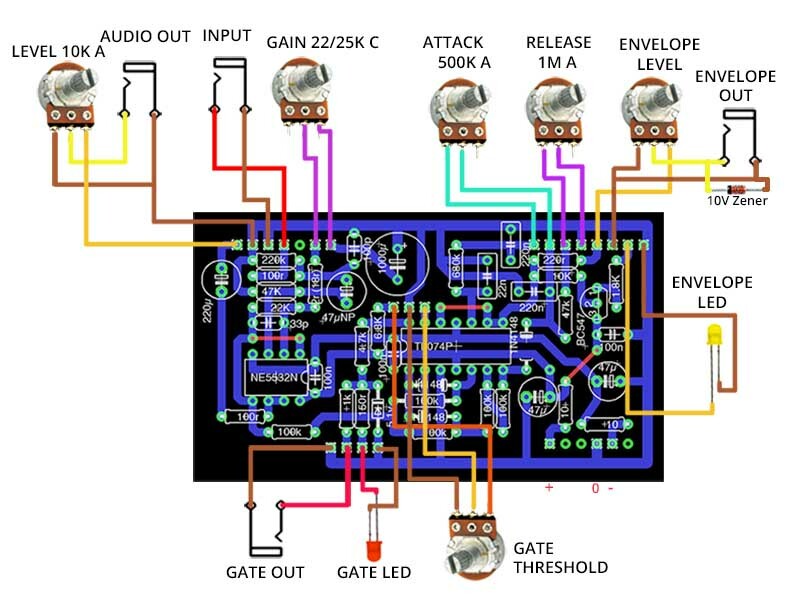 Here is our small contribution to the S-DIY world, we decided to build an envelope follower for our modular synthesizer with some attack and release adjustement pots. 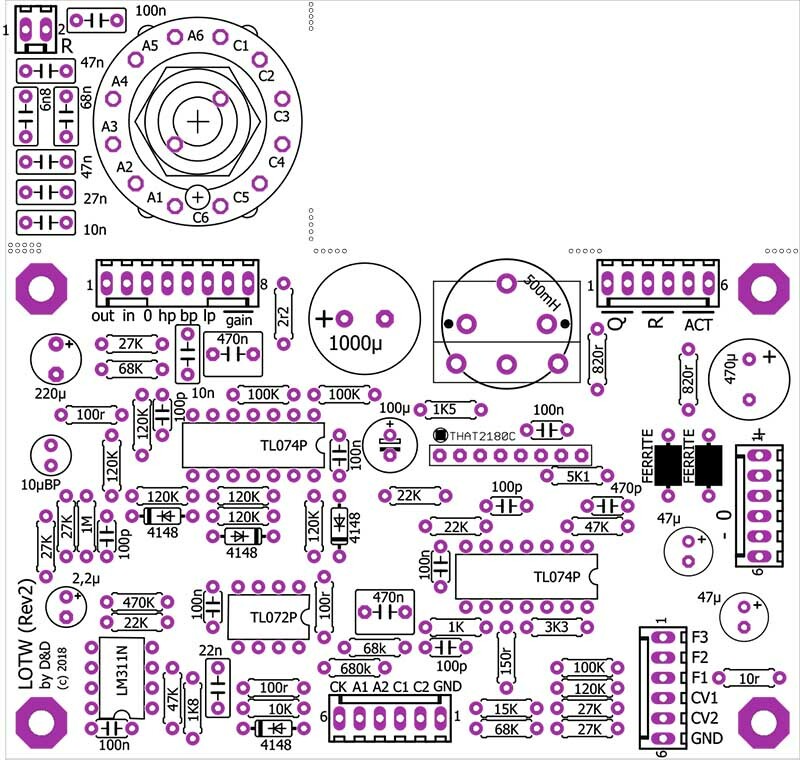 We will provide you everything here to build it yourself just as does our guru Yusynth! 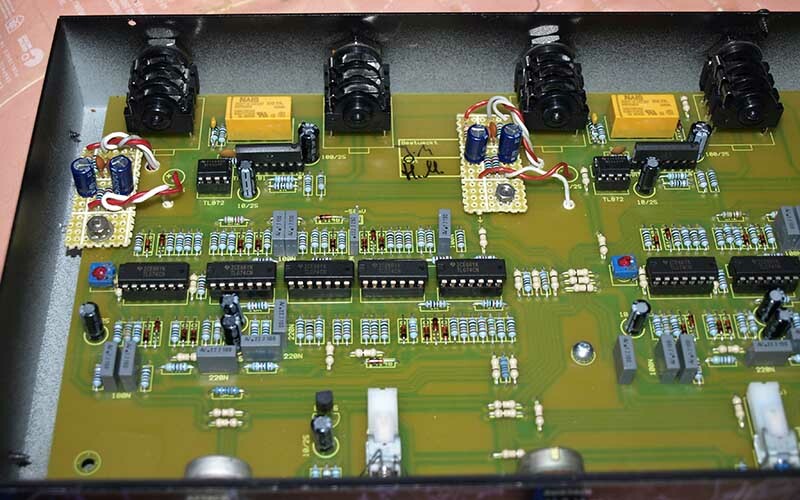 It is partially inspired by Elektor's Formant envelope follower, however we decided to remove the limiting diodes and to use a full wave rectifier. The release pot fully clockwise adds up to 1s release time to our envelope, and the attack can be smoothed by approxymately 180ms. 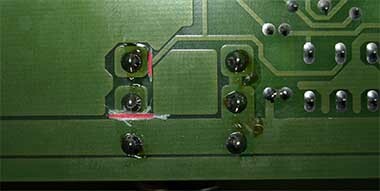 The two small marks fit with the holes on the typon so you can screw two M3 spacers to attach the PCB on the panel, and the two biger marks near "Envelope Out" and "Gate Out" are for the leds. We hope you'll enjoy! 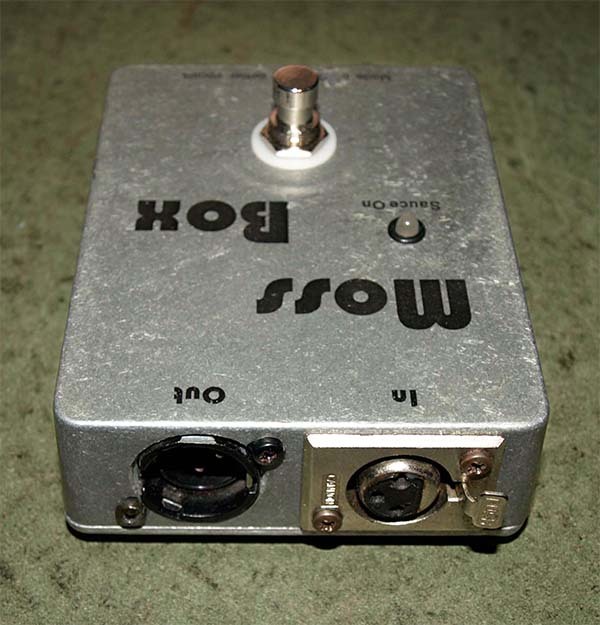 Fender Hot Rod Deluxe low gain mod. 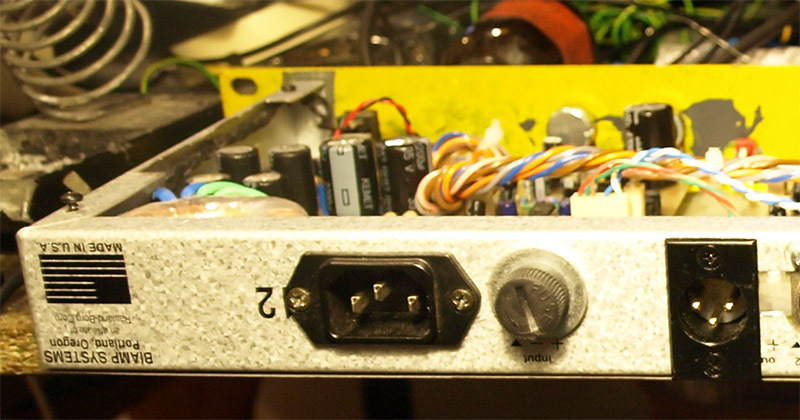 The Hot Rod Deluxe is a great amp but it's often too loud even on stage, and it's very difficult to get the right level on the volume pot between steps "1" and "2"... You can find many tutorials to change the 12AX7 preamp tubes with some 12AT7 which have less gain or with some 12AU7 for even less gain, it's probaly a very good solution, but if you don't want to change your tubes and always get the possibility to get very high gain, you can do you like us and add a simple switch which will give you something like -19db of attenuation which should be perfect to adjust the right level easily, all you need is an on/off switch, a 5K6 1/4W resistor an a bit of wire. 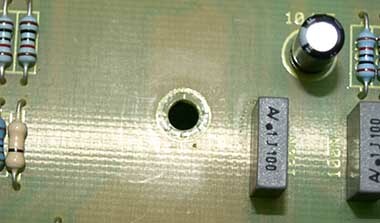 Very simple as you can see, we didn't take pics but you should figure easily where to solder this resistor and where to add a switch (we drilled a little hole underneath the "PREAMP OUT" and "POWERAMP IN" jacks to put the "low gain" switch). 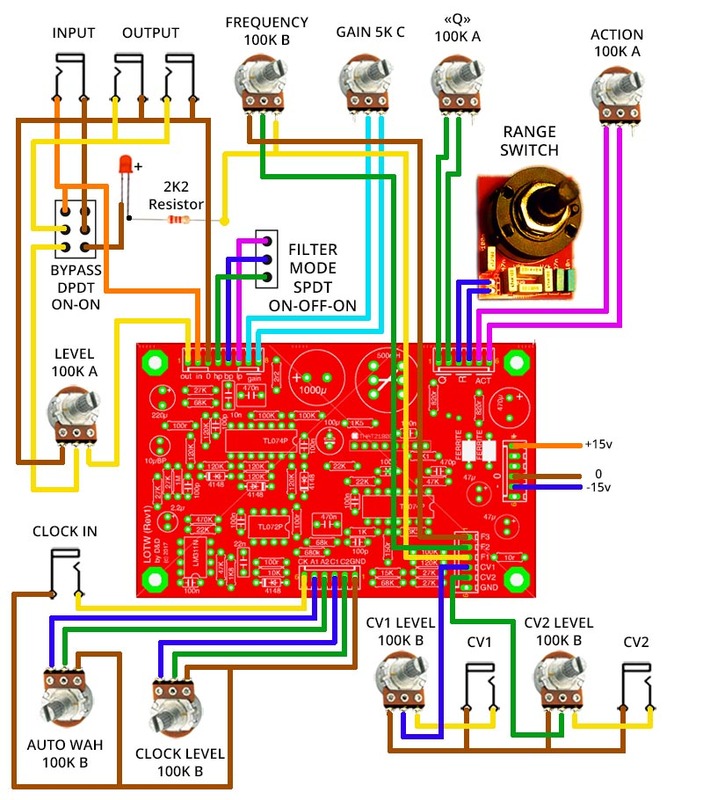 This mod works well, we use our modded amp for 3 years without any problem, it doesn't imply any frequency shift and doesn't change the sound of the amp. 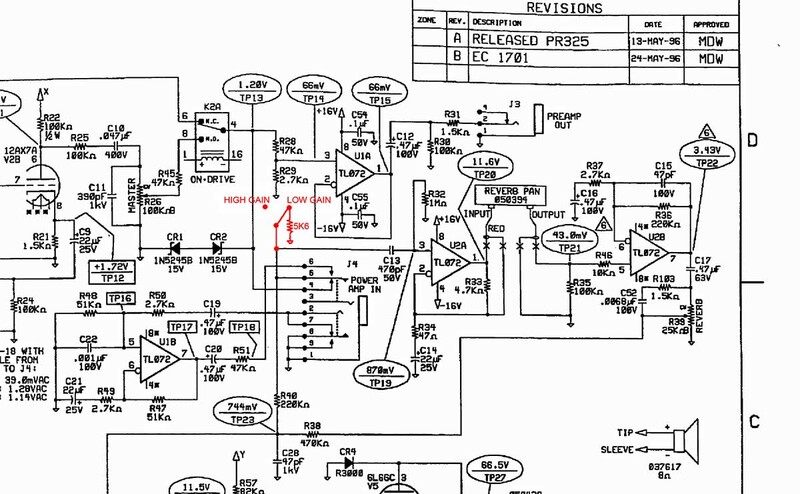 Les préamplis micro de la console Amek 2500 sont de beaux petits préamps très efficaces et peu coûteux à réaliser. 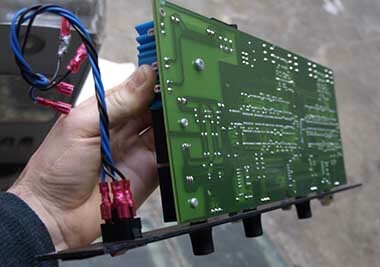 Nous en avons fabriqué un rack de 4 exemplaires avec un étage de volume et une sortie symétrique et partageons ici le circuit imprimé que nous avons conçu pour l'occasion afin d'en faire profiter les DIYeurs intéressés par l'idée de se fabriquer cet appareil. 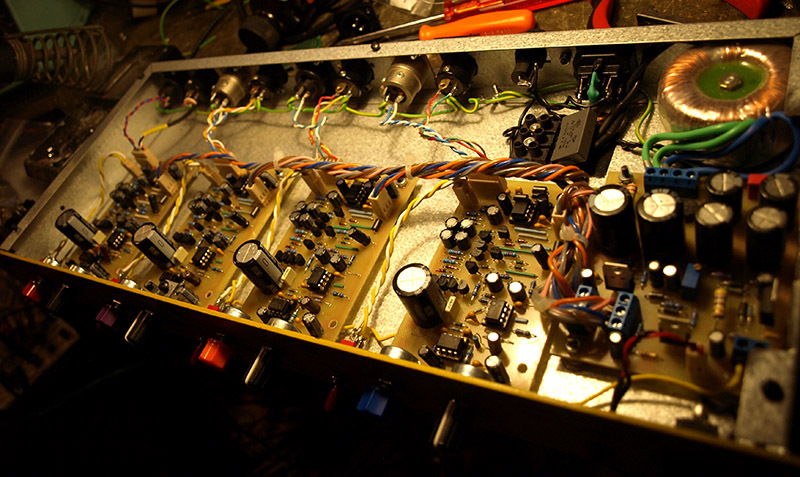 Lord Of The Wah - A voltage controlled Wah Wah for modular synthesizers. 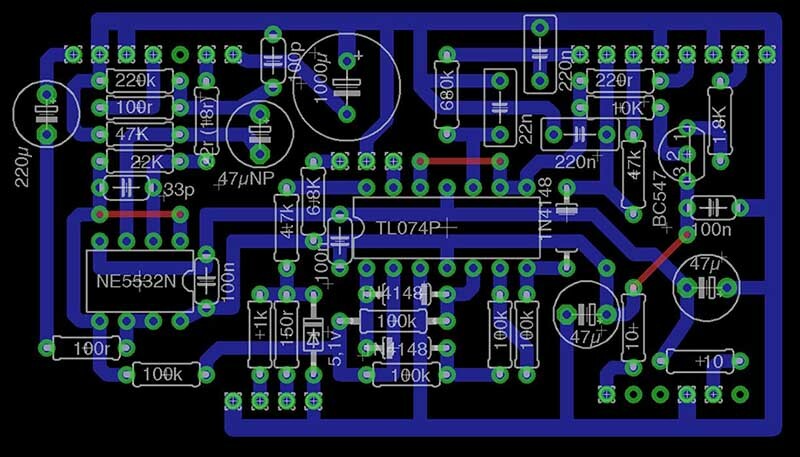 We had since a long time, like lots of other people, the idea of making a VC Wah, , watching the documentary "Cry Baby: The Pedal that Rocks the World" convinced us to really do it. 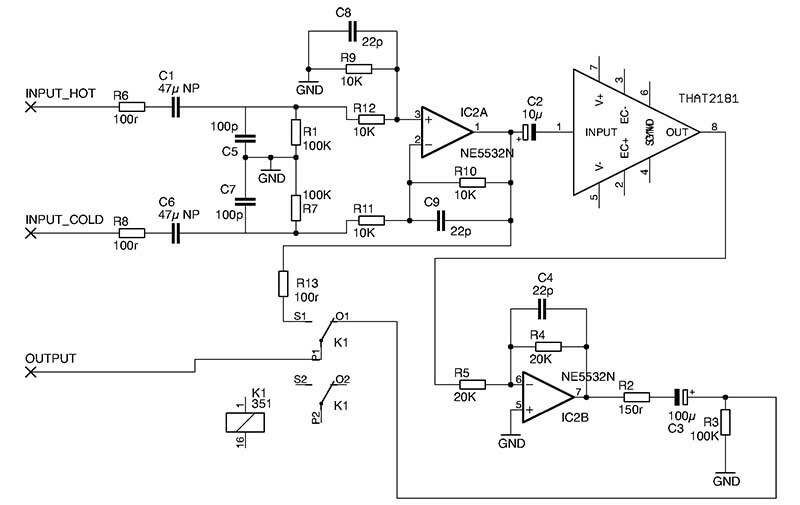 - and finally the 1K8 resistor near the LM311 IC should be replaced by a 2K2 resistor. 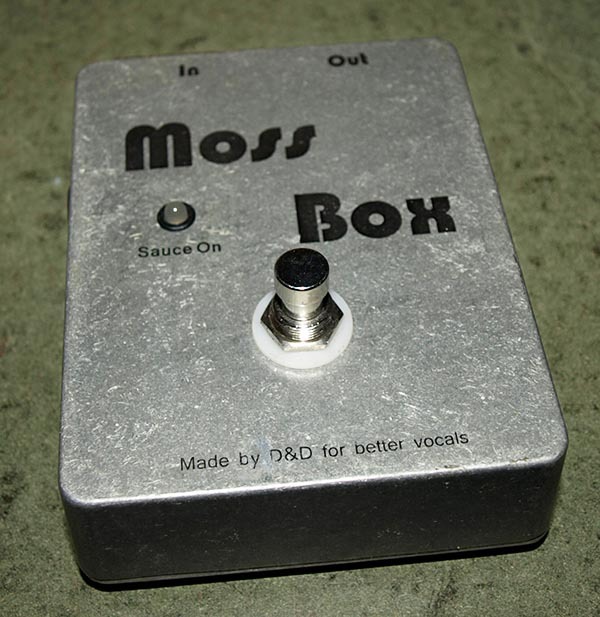 The MossBox, a vocal boost. 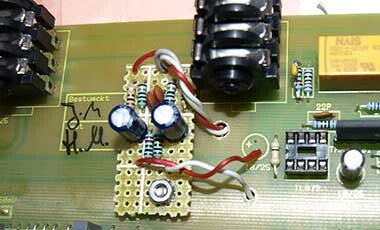 Actually it's not a boost but a passive attenuator, thanks to Gyraf from groupdiy for the idea, and especially thanks to AbbeyRoaddEnfer from the same forum for giving the idea to use a U-pad which shunt part only would be switchable, making possible the use of a simple 2PDT footswitch instead of a 3PDT MBB footswitch which apparently doesn't exist. 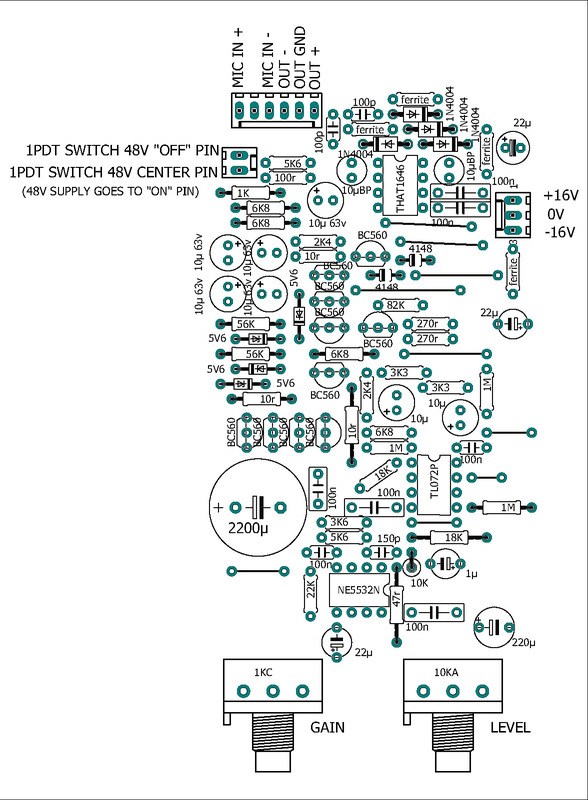 So the 'off' position is when the pad is active and the 'on' position is when the pad is inactive. 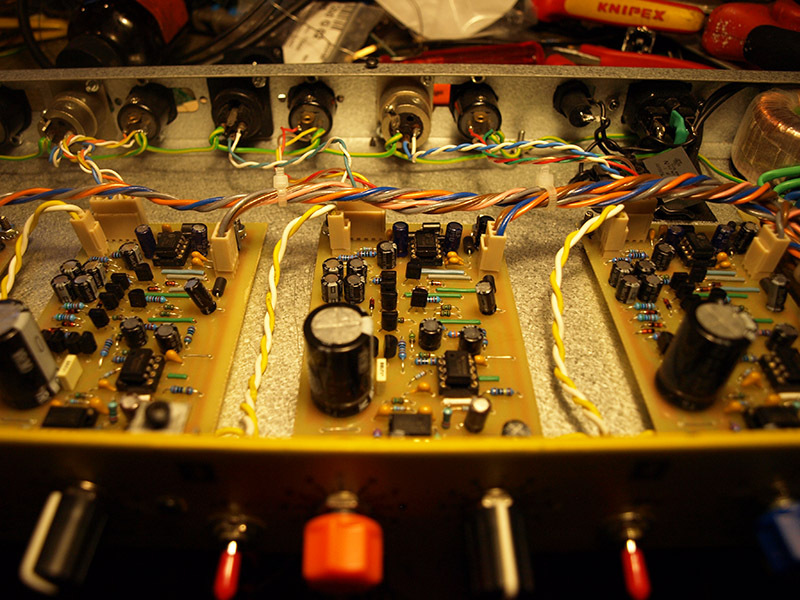 We added a trimmer to be able to ajust a bit the amount of attenuation, or the amount of boost if we think backwards. 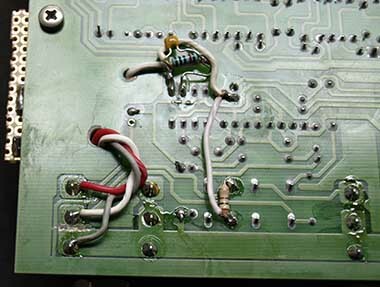 As we all know Moss is so technologically dumb that he could burn a whole city trying to plug something in the wrong hole, that's why we used a bipolar led with 2 zener diodes so that the use of any AC adapter is possible! 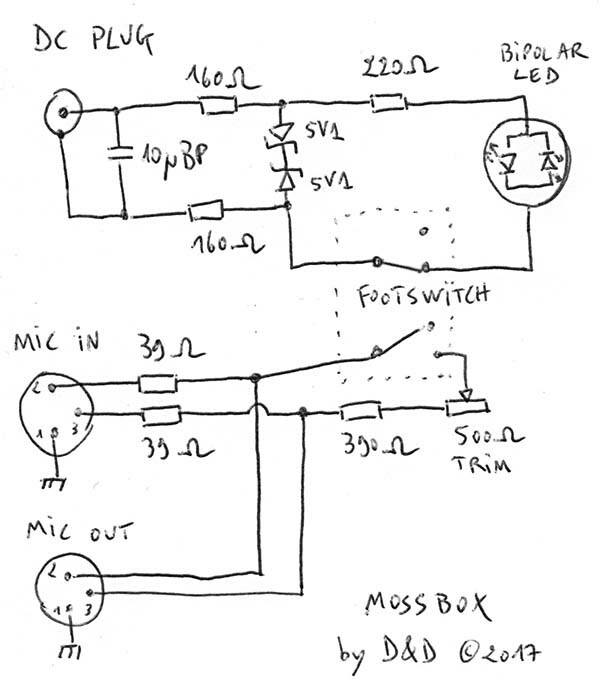 As somebody said "it sounds like a recipe for feedback from stage monitors", it's true somehow, the box must be 'on' during the very beginning of the soundcheck and as it only boosts for few DBs it doesn't make any problem in real live conditions but of course you should not balance the voice level close to larsens with the MossBox 'off'.